A brave rearguard by Ian Bell was not enough to prevent South Africa deservedly going 1-0 up in the series. Bopara inevitably fell early, but Matt Prior gave Bell good support until three overs before the new ball, when he inexplicably tried to sweep Tahir and top edged the ball to slip. 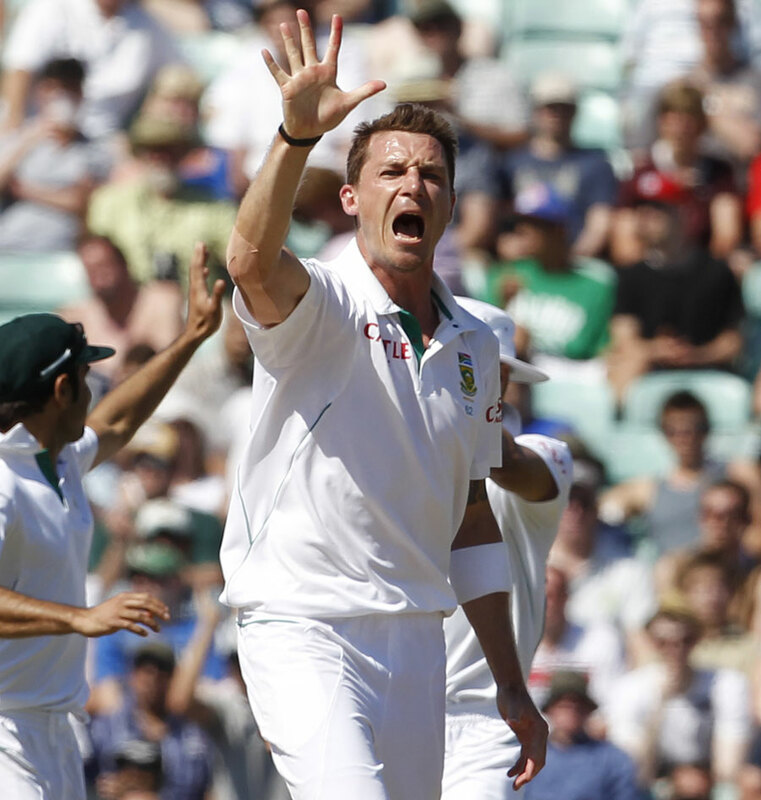 This started a collapse of 4-15 in 9.5 overs as Steyn roared in with the new ball and England surrendered meekly. Steyn took three wickets in this period to finish with 5-56, his victims including Bell, whose stern resistance had produced 55 runs in 220 balls. Bresnan and Anderson lasted 10 more overs before Anderson was LBW to a grubber from Tahir to complete a dismal game for England who had been bowled out for 240; the margin of defeat being an innings and 12 runs. Amla was named Man Of The Match.